An original Star's Art matte print. 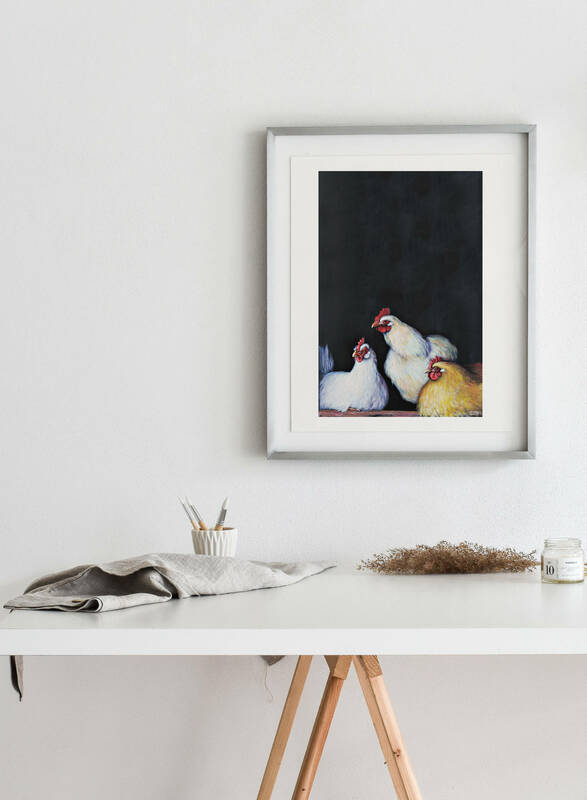 Perfect for your country home or to add charachter to a modern home/office! About the artist: Starlene Bortvit is my incredibly talented mother, who thankfully contributes a great deal of her time assisting me with orders and other shop operations. She is invaluable to the shop, however her true talent lies in painting and drawing. 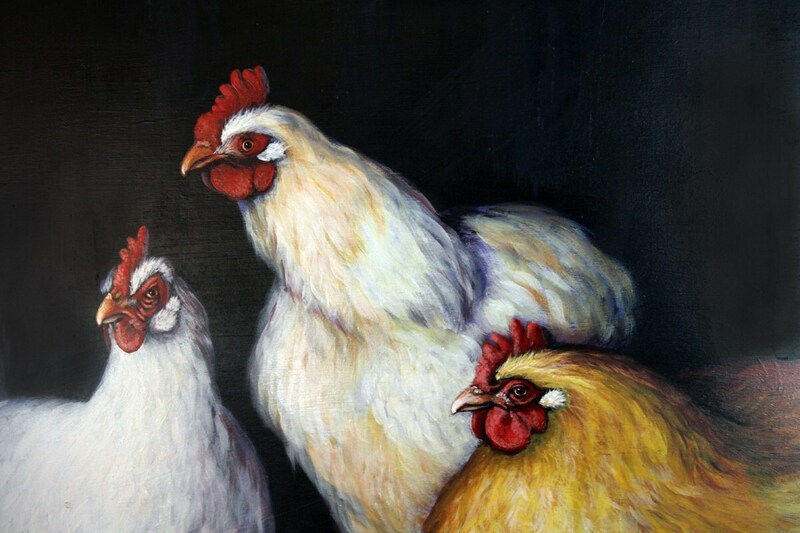 She is a self-taught painter living in the Ozarks (Missouri) and her work has been published and sold nationally and internationally. Most of her work is created on recycled surfaces with recycled frames, adding to the rustic and earthy feel of her art. Commissioned artwork requests welcome! This was a gift for my mom, and she loved it! The painting is beautiful, and the colours look great on the actual print. The order was very well-packed, and there was zero damage or bending to the print. It looks great in a frame with a nice wide, white border. My only wish is that, for the price, the painting be printed on slightly thicker or more canvas-y stock. Otherwise, my mom is so happy to have it up on the wall in the living room. 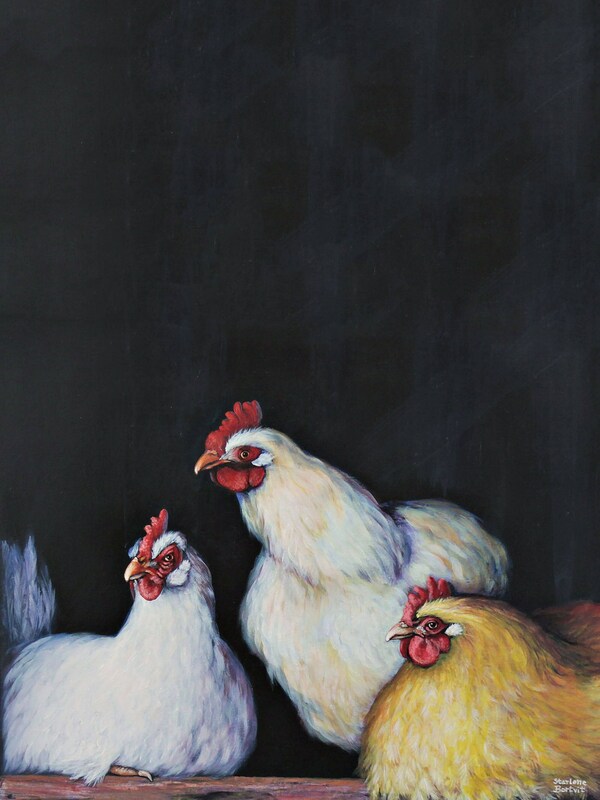 The expressions of the chickens make us think of our own hens! Thank you!